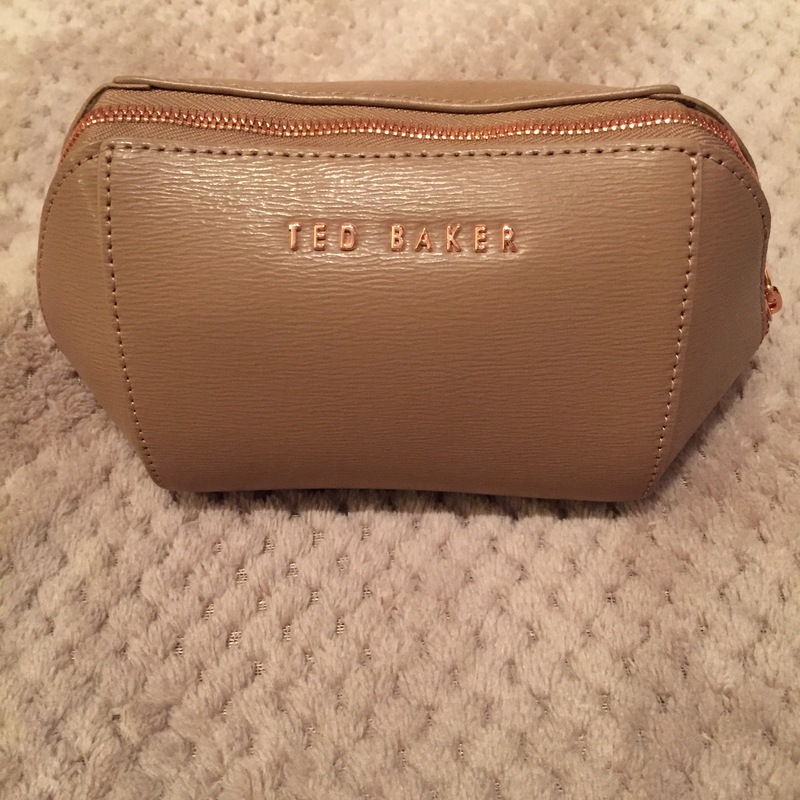 Hello my lovelies, I wanted to share with you what is in my make up bag. These are my essential products that I use on a day to day basis, these products are the same products that I use every day and never change. 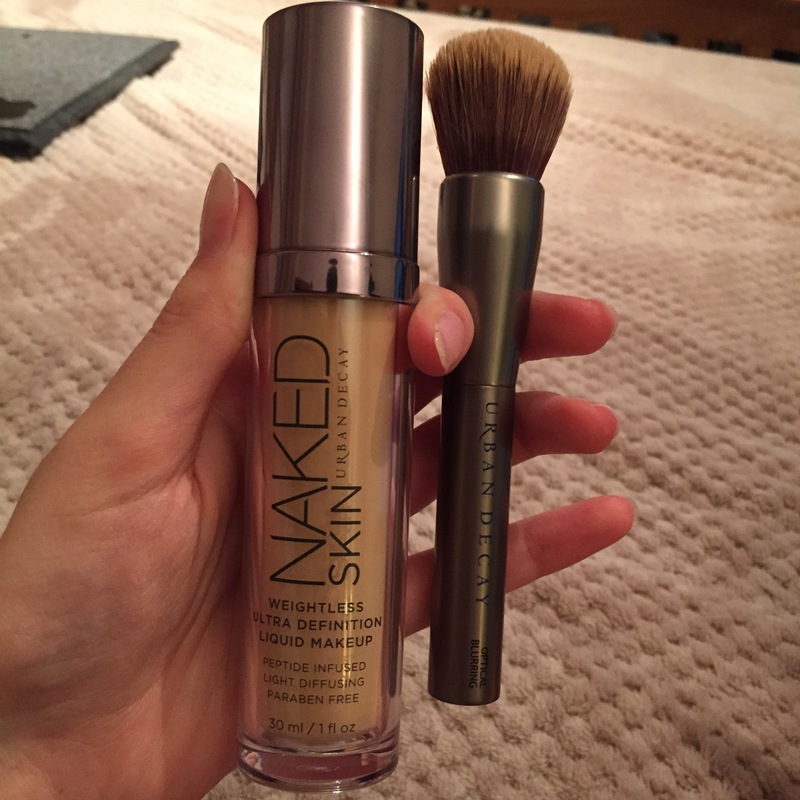 I use these 2 products at separate times throughout my foundation routine. I use the B6 Vitamin-infused complexion prep spray as my 1st step, this helps to reduce redness, minimise pores and absorbs excess oil on the skin – basically prepping the skin ready for your routine. 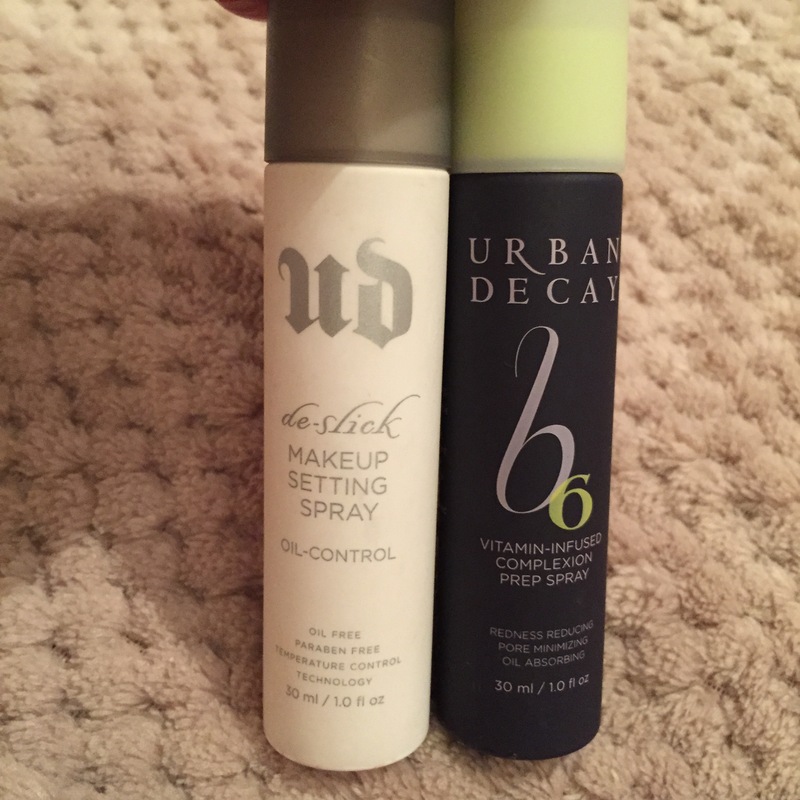 The de-slick make up setting spray is a setting spray specifically to help with oil control, I actually spray this product onto my foundation brush before applying my foundation, that way the setting spray is mixed in lightly with the foundation and in my opinion works better as a setting spray. 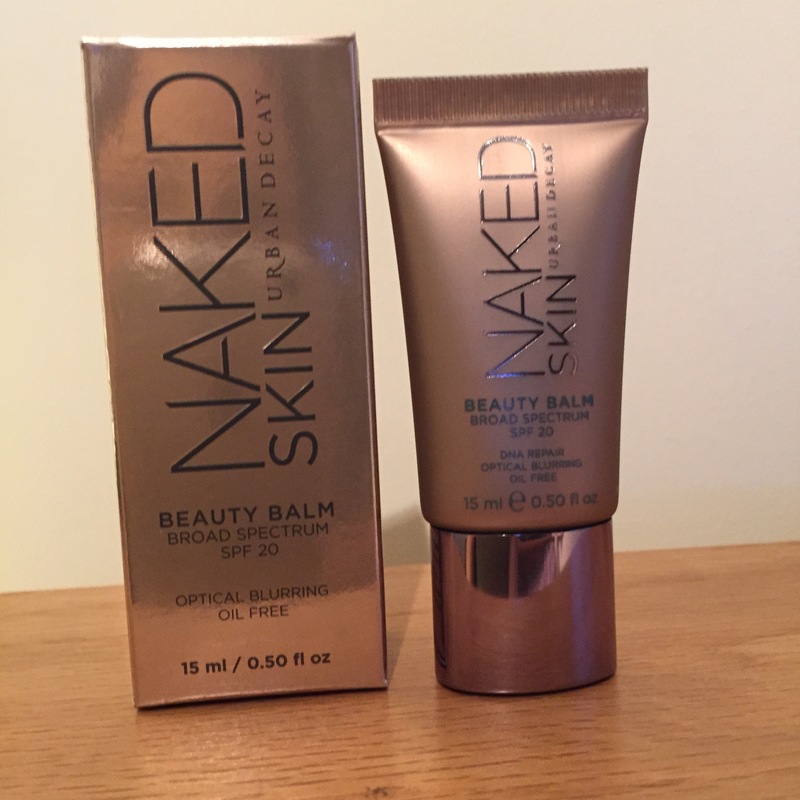 This Urban Decay Naked Skin beauty balm is what I use as my primer. It helps to blur out imperfections, it’s oil free and primes the skin ready for foundation. Before I use this, I do use my EOS lip balm, which I haven’t taken a photo of as I already have written a blog on it. Next items I use are my Urban Decay naked skin foundation and I use it with the Urban Decay Optical Blurring brush. This brush is specifically best used with this foundation, both of which I am in absolute love with. I have already done a review on both of these so I won’t go in to detail, but one thing I will say is that a setting powder is not required with this foundation which is why you won’t see a setting powder in this post. Above is the 2 next things that I use, I use the Bare Minerals bronzer in the shade ‘The Skinny Dip’ (left) to contour my face, this is the perfect shade bronzer for my skin and blends in perfectly! 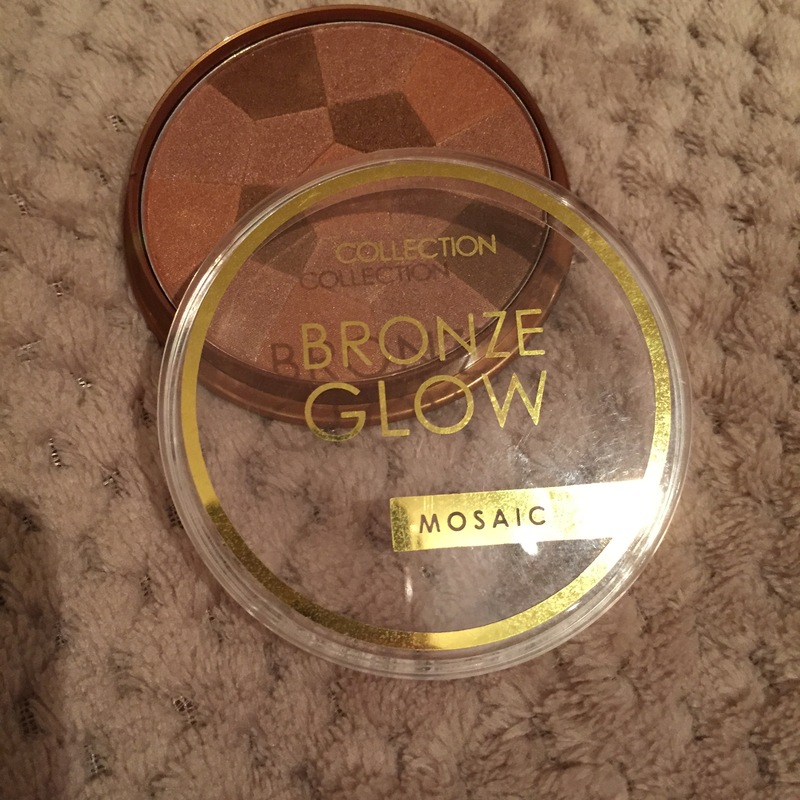 I then use the Mosaic Bronze Glow in the shade ‘Sunkissed’ on the top of the cheek bones to give my skin that extra little bit of glow/shimmer. 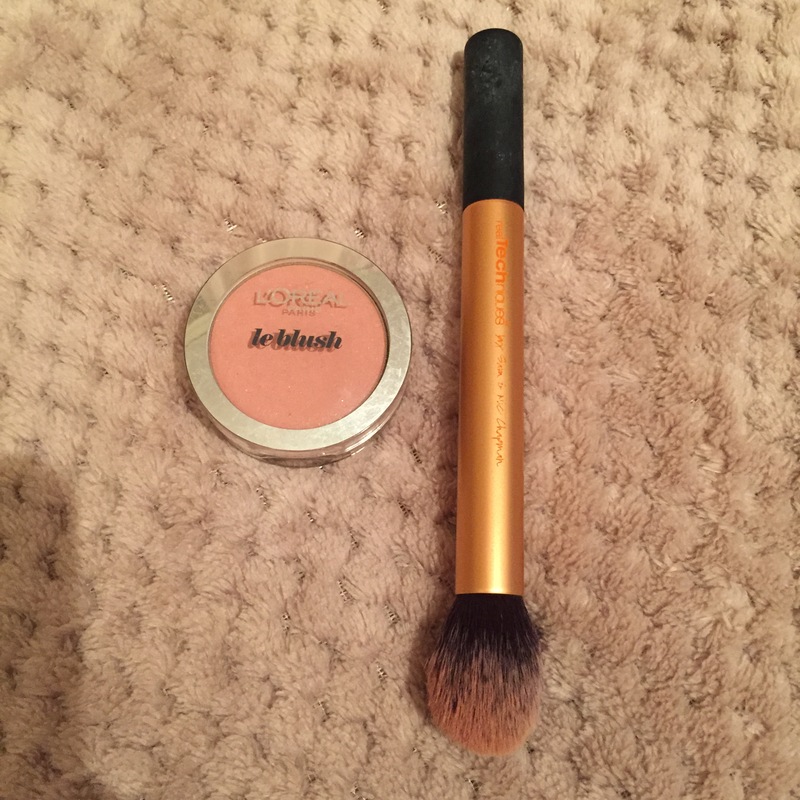 The brush I use with these is the Blush/Contour brush by B. This is the mascara I am currently using, this is not normally the mascara I would purchase, however I never stick to one mascara. This is the first one of this brand I’ve tried and I was pleasantly surprised with it being such a cheap mascara. It isn’t clumpy and it also dries quick which in my eyes is a good thing. 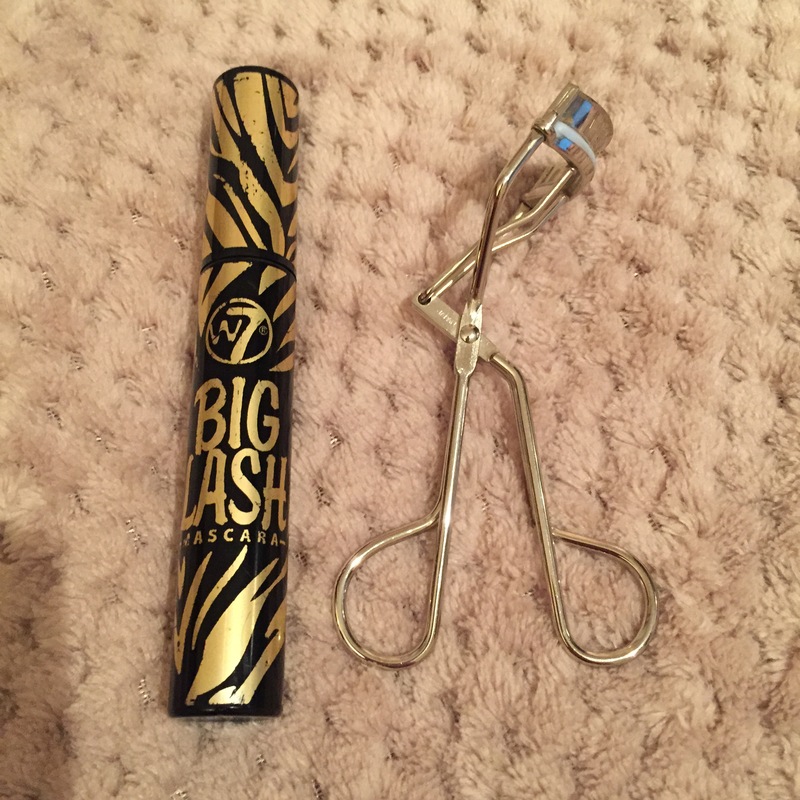 The eyelash curler above is by Tweezerman, this is really good at curling the lashes which I use every day before using the mascara as you’d probably guess. Lastly, this is the Loreal Le blush in the shade ‘True Rose’. I have used this blush for almost a year and still haven’t hit base. It’s the perfect blush for me as like the bronzer suits my complexion and blends in perfectly. The brush I use with this is the Real Techniques contour brush. All of these products like I said I use every single day, the only product that differs is my choice of lip gloss/lipstick. Therefore I have left out the lipsticks all together. I quite often go for a neutral look so eye shadows are very rarely a part of my collection. The Beauty balm with an edge. This all in one formula: Hydrates instantly and overtime. Primes for beautiful make up that lasts. Protects with SPF 20 and contains Pepha – Protect to help inhibit DNA damage. Perfects to instantly even out skin tone and minimise pores, lines, wrinkles and redness. Treats with Vitasource and dGlyage to firm skin, improve elasticity, and provide measurable anti-ageing benefits. Well… for what I would class as a primer it claims to do a lot. 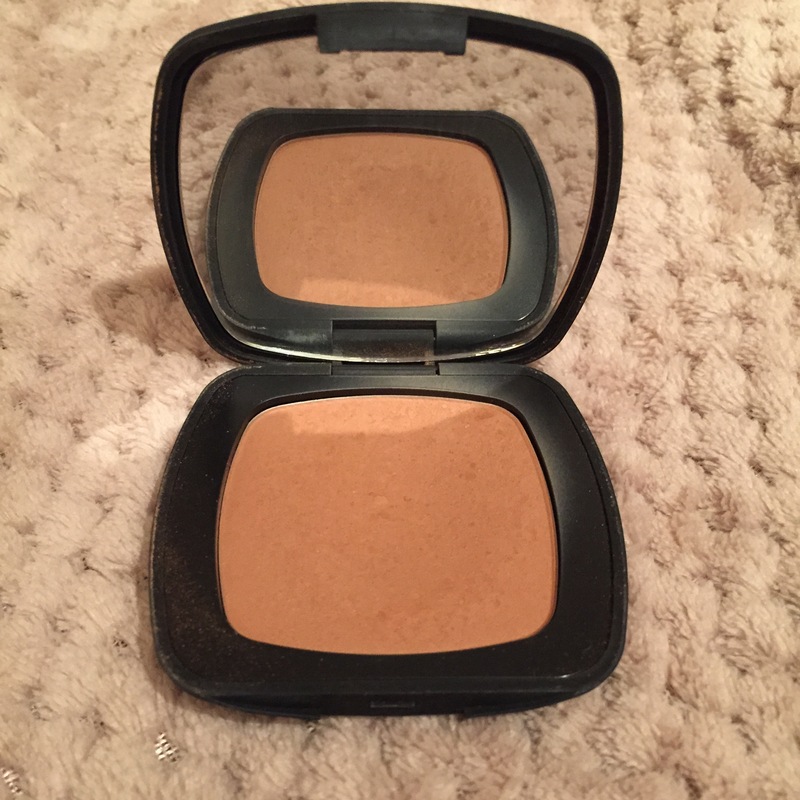 The colour of this product is a brown colour, similar to the colour of a darker shade foundation. This initially scared me, but it is a universal shade that glides on and dries down to a translucent finish that claims to work on most skin tones. To me, this basically means it’s to hydrate and prime the skin ready for foundation/make up routine. When you first apply this primer you expect it to be rather runny but it glides on as more of a gel like formula which has a peppermint type scent. apparently it’s supposed to smell of some form of herbal tea, but to me, it’s basically a minty smell. This took a while to get used to but I actually like it now that I’ve got used to it. So I’m loving the smell, love the way it glides on and love the effect it has. It also claims to blur imperfections, however I don’t feel as though this is the case, but maybe my acne is TOO bad for a noticeable effect. However, this does not worry me as I wear it underneath my foundation so I don’t rely on this product for any form of coverage. I’ve only ever tried this product with the Urban Decay Foundation so unfortunately I can’t comment on how it works with other foundations. However, I have used it with a variety of moisturisers and it’s worked well with all of them! A main bonus for me with this primer is that I have oily/combination skin and this primer helps regulate the oils in my skin, or better yet..it doesn’t enhance my oily-ness. So not only is it hydrating my skin but it is keeping my oils under control, so all you dry/combination/oily skinned girls should all get on with this primer. F.Y.I its very rare I will agree that a primer suits every one and so anyone looking into buying this I would recommend it, especially if you love and rely on your primers like I do! 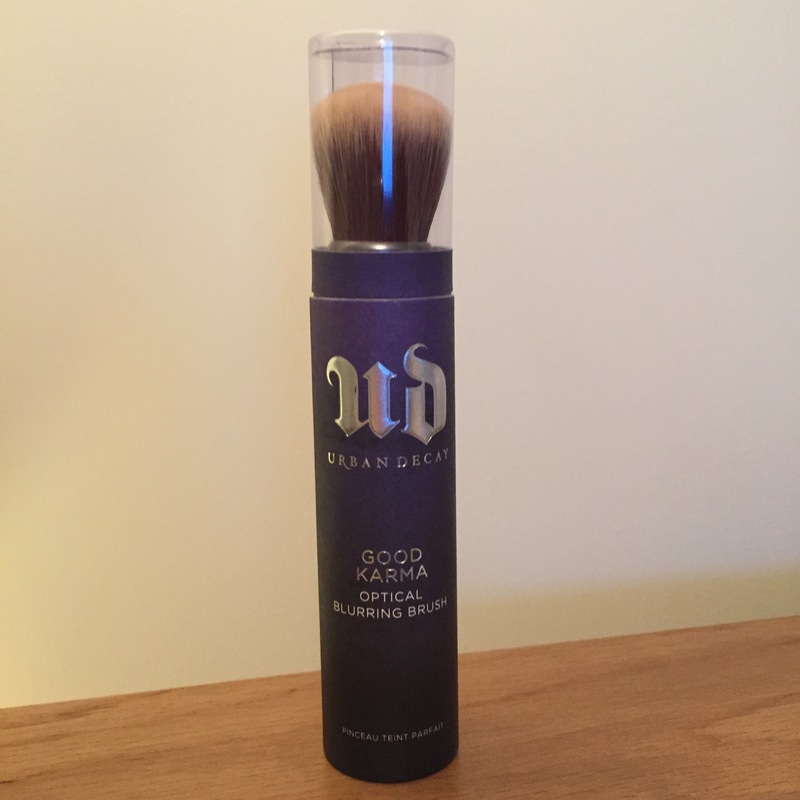 This is the Urban Decay Good Karma Optical Blurring Brush and this is to be used with the Urban Decay Foundation in my previous post. Liquid and powder formulas apply flawlessly with our Optical Blurring brush. The densely-packed shape distributes product incredibly evenly. Skin looks smoother than with sponge application…buffed to a natural, soft-focus finish. Fine lines seem to disappear. And like all our brushes, it’s pro-quality and cruelty-free. I actually couldn’t believe the quality of this brush. I have always stuck to the real techniques brushes once I found them, I couldn’t find any brushes that would top them, especially when it came to applying liquid foundation. But oh my actually goodness, this brush surprised me like no other brush has before. The brush is dense for holding the foundation with extremely soft bristles so it feels pleasant and smooth on the skin. The brush leaves no streaks what so ever when you’re buffing in your foundation as well. None of this going over patches to remove the brush strokes or anything like that! This brush makes it so easy to apply your foundation. Basically, if you’re thinking of buying the Urban Decay foundation, it is so worth buying this brush alongside it and using them together! They create the perfect combination. Yes it can be considered expensive at £17 for the brush but after using it myself at the counter, I didn’t even question how much the brush was, I just bought it because of how amazing the results are! 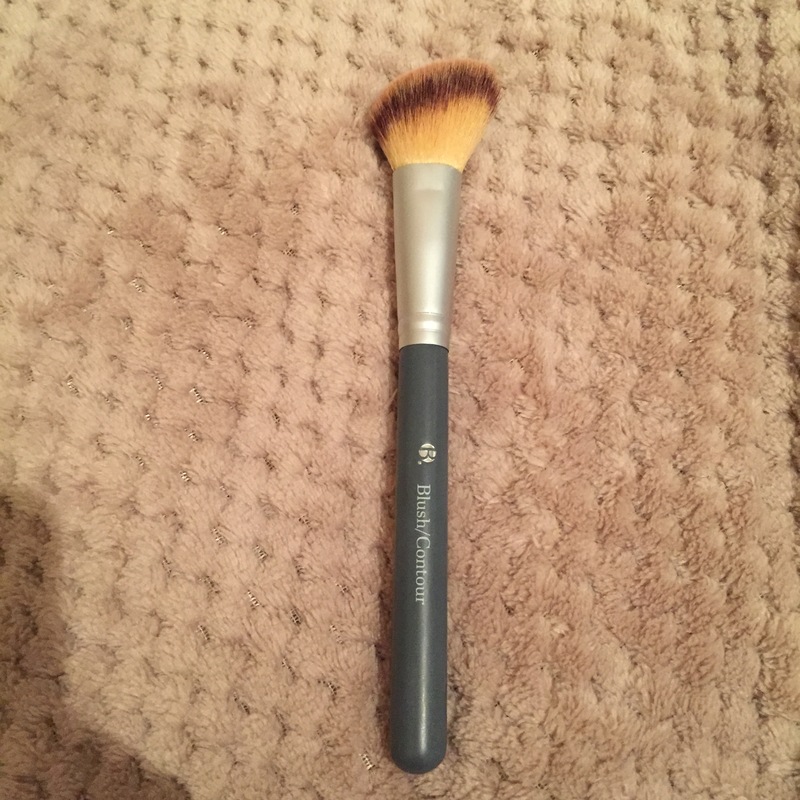 This brush is definitely a must as part of your brush collection!! !